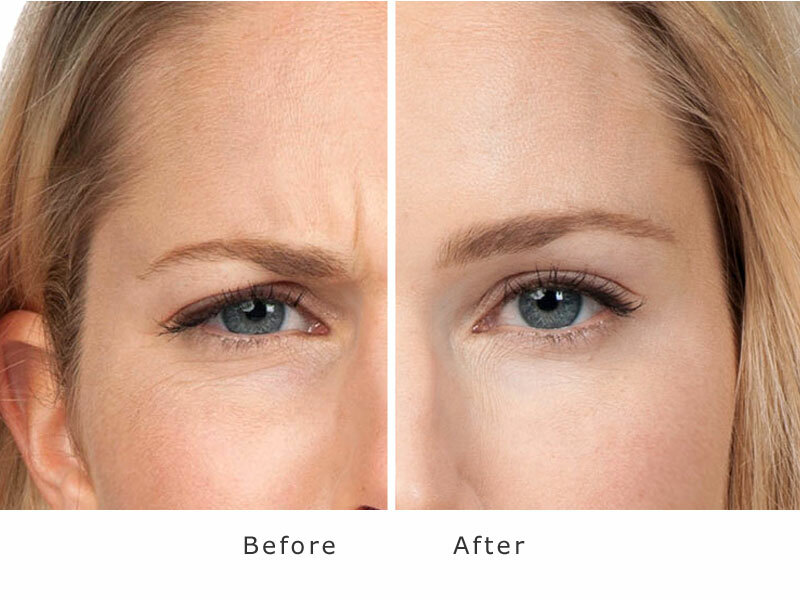 Botox® What Is Botox? 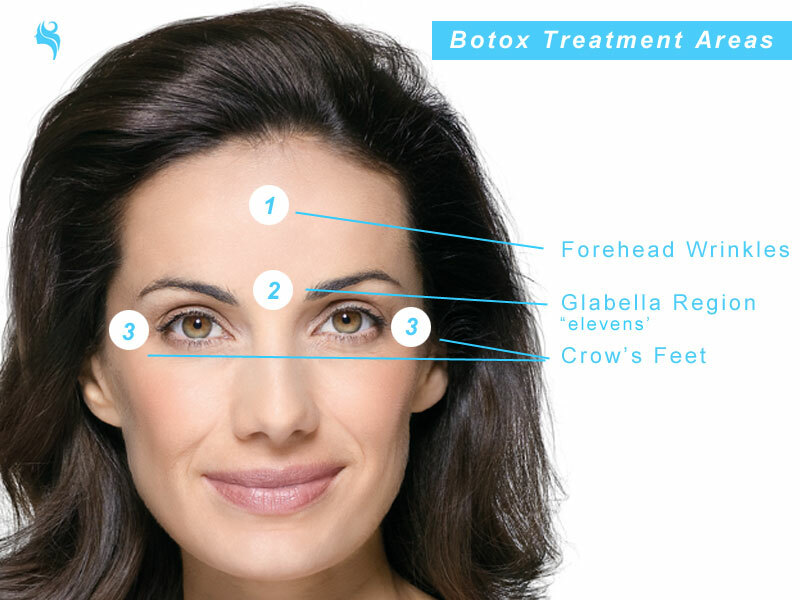 Botulinum toxin is a purified protein commonly known as Botox®. Within aesthetic medicine, it is utilised for its anti-wrinkle capabilities and for skin rejuvenation. 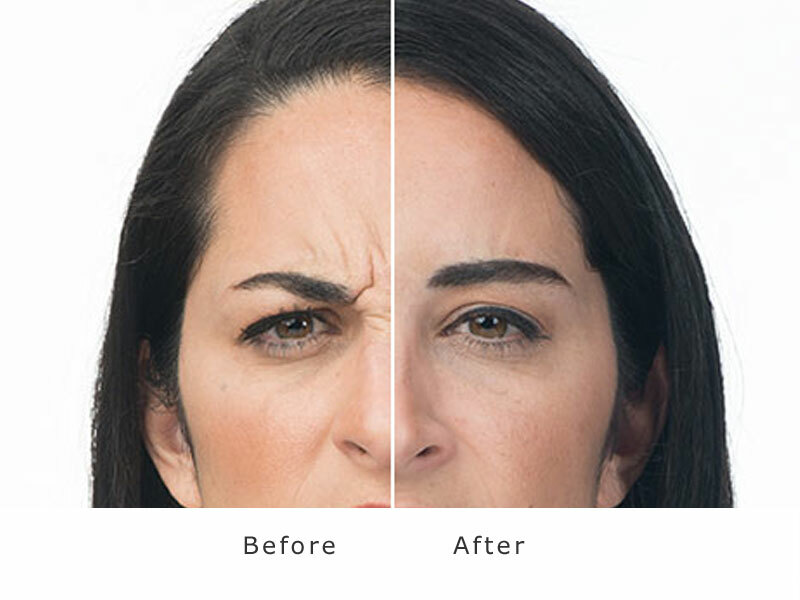 By temporarily relaxing facial muscles, the botulinum toxin works to iron out fine lines and grooves in many different areas of the face, providing a younger look. There are two main types of wrinkles and fine lines that we identify: static (ones that stay even when we relax our faces) and expressive (those that mostly form when we are smiling, eating, laughing etc). While many focus on the static lines, it can prove beneficial to patients to also target expression lines, which tend to deepen and become more pronounced as we age. Through meeting with each and every patient first to draw up a detailed and specific treatment plan, based on the individual, Nurse Practitioner Karen Bates will be able to identify the best possible route for treatment and assess your presented concerns. Always working with personal preferences in mind, you need not fear looking overdone, or that frozen look. Botox last on average between 3-4 months, and this really is ideal. Not only do you not have to fear the look of treatment being permanent, Karen can also adapt your treatment plan accordingly over time. It is important to note that you will require ongoing treatment, but you after your first few treatments with us, we will be able to gauge more precisely when you are due to schedule your next session with us. Patients should wait at least 48 hours after treatment to start noticing the effects of treatment. We advise all patients to avoid hot baths, over-exertion and any activity that may shift the product from the precise injection points. Fours after treatment, patients can resume their normal activities and any mild swelling and bruising caused from the injections should be unnoticeable. There is no real downtime associated with this treatment, and most patients will continue their normal day-to-day business straight after their session. Having worked as a nurse for over 20 years, and also having extensive experience within the aesthetic industry, Karen Bates is a professional and highly-qualified nurse practitioner (further information) who treats patients regularly, nationwide. She has over twenty years in injectable treatments, she has also studied from and alongside some of the UK’s leading injectable doctors, extending her skill set. Botox® pricing at My Face Aesthetics Clinic encompasses a range of factors: the price of the authentic Botox® we use, the time it takes for the procedure, the amount of product used, the consumables and, most importantly, the skill and experience of the clinician. Unlike other practices in the UK, My Face Aesthetics Clinic will only ever use the authentic, branded Botox® which is administered purely by Karen. Something we are incredibly strict on at at the clinic is that only medical professionals are able to inject botulinum toxin and dermal filler. The reason we are so strict about this, is because we understand that in order to create a reputable, trusted clinic, we must demonstrate good practice at all times. This means using the very best products and offering the best treatments, making sure the results are satisfying and tangible and by upholding patient safety at all times. We will never put our patients at risk of poor results, unsanitary conditions or inexperience and lack of appropriate knowledge and qualifications. 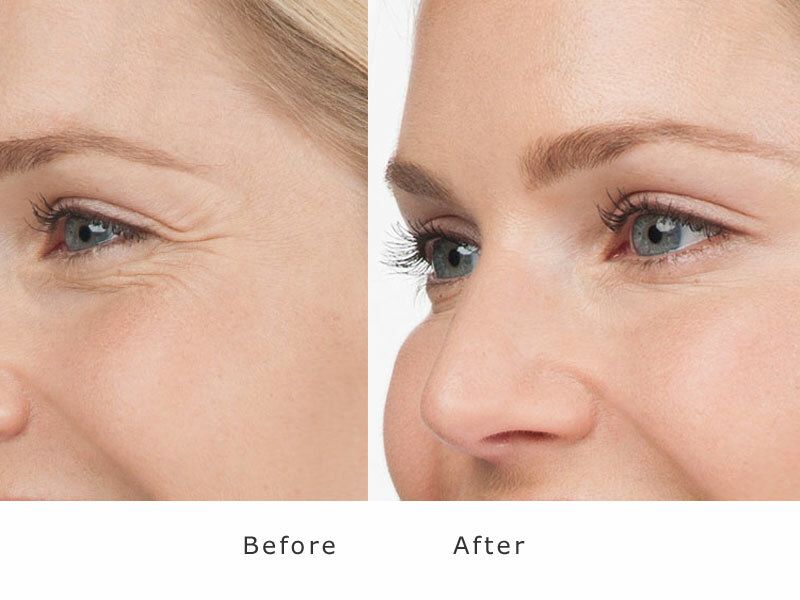 For more information about Karen, the practice, or to schedule a consultation for wrinkle injections, please call the team today on 07968 781704, and we will happily assist you with your enquiry.